Your Skin Is In is an educational, pledge based program and contest that encourages teens and young adults to make a personal promise that they will protect the skin they’re in. Over the past 8 years, MFNE has traveled all over New England, exposing over half a million students to this educational program. The Physical Eye UV Defense is a soothing cream (that smells AMAZING!) for the base of your eyes. Keeping your eyes protected from the sun is one of the most overlooked places and also is one of the most important. This serum goes on the base of your eyes and not only has SPF to protect from sun damage but also helps to protect from anti-aging effects. Your eye lids have extremely sensitive skin so keeping them healthy, hydrated and free of sunburn is super important. 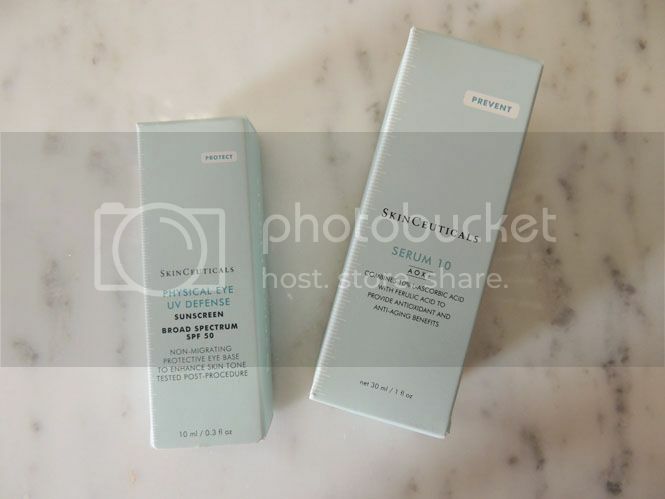 The Serum 10 is perfect for anyone with sensitive skin (like me!). This serum is made to help restore healthy looking skin and to help defend against aging effects from the sun. My mom always tells me to be careful now in the sun and using something that will already help to prevent aging skin is so important to me! This serum is something I will most definitely start implementing in my every day skincare routine - especially since it lasts for a minimum of 72 hours! It can also help to reduce any appearing wrinkles, lines and works as it sets into your skin. It also smells really great so keeping it on your skin for that long is nothing but soothing! 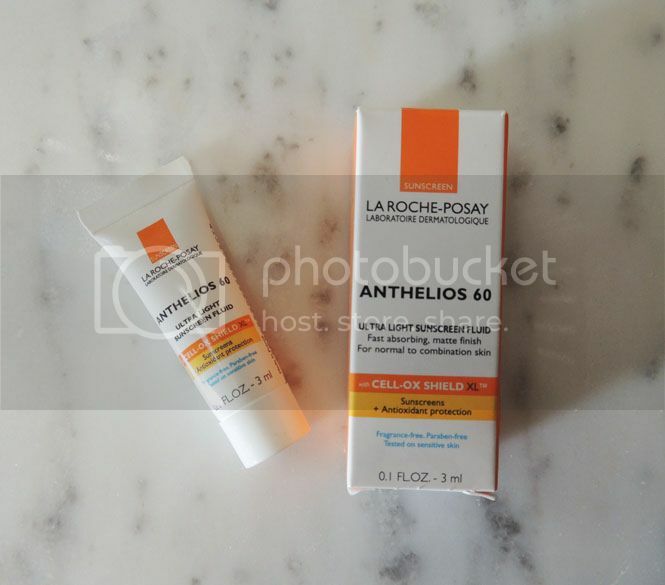 This La Roche-Posay Anthelios 60 sunscreen is a water resistant UV protection that was made to help give a better, more broad-spectrum sun protection versus other sunscreens. It was created with antioxidants to help protect your skin from the harmful UV rays that the sun also lets out along with its warmth. I've used it once already on a mini-vacay and it works AND smells great! I used it on my nose and my shoulders - two places that I burn in the sun the most frequently and most quickly. I love that it doesn't make your skin appear as being shiny and it doesn't make your skin feel greasy either. This peppermint SPF lip balm is from the Melanoma Foundation NE. Protecting your lips is also an overlooked body part that many of us don't take measures to protect in the sun. Personally, I never really use an SPF lip balm in the summer unless it's in the gloss or lipstick I used that day (oops...). Using a chapstick or lip balm that has at least SPF 15 in it is so crucial for your lips and helps to keep them hydrated, smooth and safe. There are tons of lip sticks that are including SPF now, but be mindful of this when you purchase your next lip wear! 1. Always wear sunscreen with a minimum of 15 SPF! Get a higher SPF for places you burn easier - like your shoulders or nose. 2. Accessorize while staying sun-safe with a cute floppy hat to protect your face! 3. Check to see if your sunnies have UV protection to them to help protect your eyes. 4. If you wear contacts, see if yours are a brand that have UV protection in them. I wear Acuvue Dailies and they have UV protection in them. 5. Always protect your scalp! You do not want to get sunburn there - look for hair product that has SPF or better yet, spray a little sunscreen directly to your scalp when you're outside! 6. The hottest times of the day and when the sun is the hottest are between 10 AM and 3 PM, so if you're going to be outside during these times, make sure you reapply sunscreen regularly. 7. See a dermatologist! Once you're 18, the Melanoma Foundation recommends seeing a dermo at least once a year for a check up. If you ever notice anything irregular, bring it up to your doctor. A dermatologist is just as important as a primary doctor - don't overlook anything! Melanoma is the second most common form of cancer for teens and young adults ages 15-29, however it’s preventable and 99% curable when caught on time. Start spreading the message today! 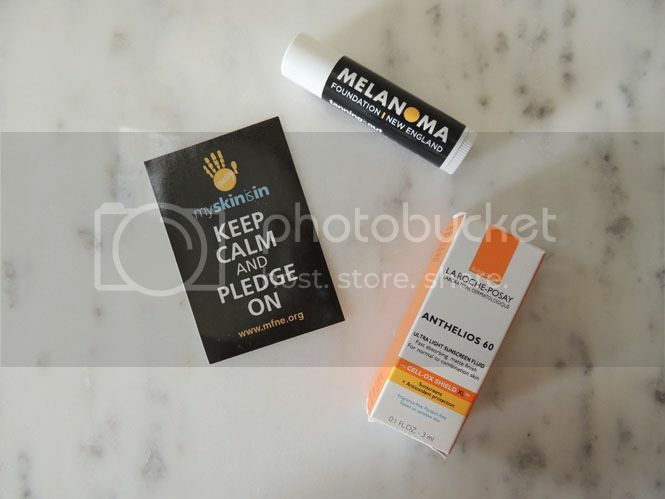 Take the pledge here today to keep your skin safe! Be sure to visit the Your Skin Is In pledge page! 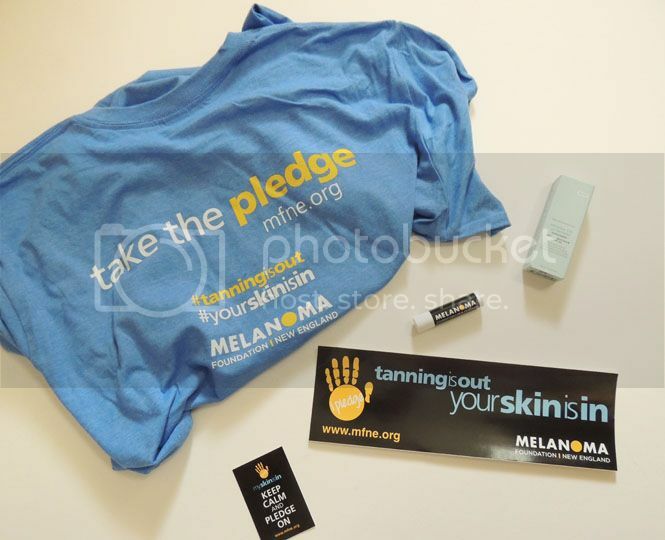 For more information about the campaign and other great posts and stories, be sure to visit The Melanoma Foundation on Facebook, Twitter and Pinterest! 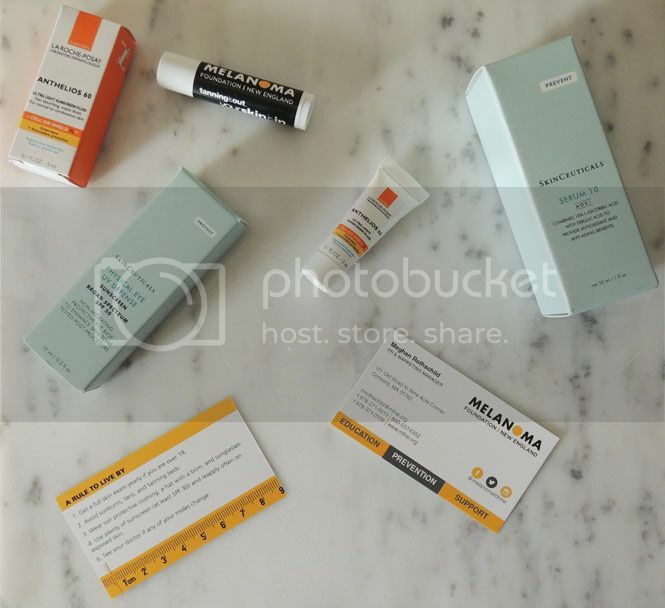 This is a sponsored post in partnership with the Melanoma Foundation and Her Campus Media. All words and opinions here however are my own. I never wear sunscreen- like ever. I need to start, though. I just prefer a killer tan, you know? Wearing SPF is so, so important! It makes a huge difference in skin aging as well. A cool tip I learned recently is to always keep SPF in your car so you can apply in to your hands/neck when you drive. It can be so easy to forget SPF sometimes, but it's definitely so essential. This is a great pledge! Over the years I've done some serious damage to my skin by not protecting it from the sun...hours on the beach, in the garden, and just outside without any protective layer. I might be a little bit late to the party, but I can definitely attest to the harmful effects and take the pledge to take better care of my skin now! This is great! Thank you so much, it's important to care about your skin no matter the weather! I love that sunscreen--I use it everyday in the summer. I always try to wear products with SPF even in the dead of winter because I want my skin to always be protected. I had pre-melanoma so I really love this post!! So So important to wear sunscreen! This sounds great, I'll have to try this sometime soon. My mom would love this too. I am so used to sunscreen because of the weather here. It's nice to have a lot of options! Thanks for the review. I wear sunscreen on my face daily! It's so important, even if you don't think you'll be out in the sun. I'm focussing on giving my skin a lot more attention this year and it's really starting to pay off. I love that sunscreen, I don't leave the house without it in summers. This is definitely an important topic! Growing up I was in the sun all the time without sunscreen. Now I do everything I can to protect myself. Thanks for the product recommendations! So helpful. This brand is new to me, but their products look great. I would love to try that sunscreen. I love this. Product looks really great! Getting enough sunshine is good to help our body get that much needed Vitamin D. However, we must also protect our skin from over-exposure. 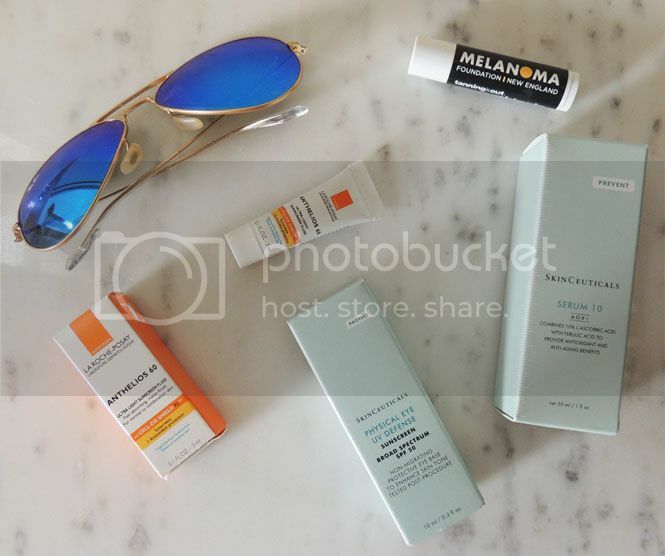 Choosing the best sunscreen is a healthy practice and I will surely check these products out. I try and take care of my skin and even though I'm AA I still use sunscreen whenever I go out. I've never heard of those products before now though. I love the idea of your skin care, skin is important to give it care. These look like fabulous skincare products. I'm always looking for effective products for my skin. During the Winter, my skin gets so dry! I always protect my skin and lips from the harsh rays of the sun. Years ago I was a tanning bed addict and am embarrassed to say that I owned my own tanning bed. Thankfully, I saw the light and learned the importance of skin protection. Sunscreen is definitely important. I make sure to buy skin care products with high spf. Due to having several friends and family affected by skin cancer thank you for sharing this! Teaching my kids proper skin care is so important! Sunscreen is very important. Unfortunately, I often forget to put it on! These are some great tips!!! Sunscreen is so important! Wearing sunscreen is very important. A lot of people do not know about proper skin care. My grandfather has melanoma. He loved the sun growing up as a kid. He never wore sunscreen. I'm always on the prowl for great skincare products. Can't wait to try these. It looks awesome! This is definitely a good cause.Always, always wear sunscreen. I probably don't use it as much as I should, but do make an effort. I will definitely share this post with my grandma. She has had several melanoma spots removed from her arm. I just love that sunscreen & I agree it so much important to take care of your skin. Particularly in summer, you are going to feel worse without them. Would love to try this product as it is new to me. I love this post, I love to tan and get dark in the summer time but I do thin it should be done in moderation and ALWAYS with sunscreen on!! Great post!! i keep forgetting to put spf when i go out. especially where i live, its def needed. thanks for the tips! Now unless you can tell me how to get rid of the holes in my face that's all I'm interested about. Guess it was from acne. That's all I ever wanted. 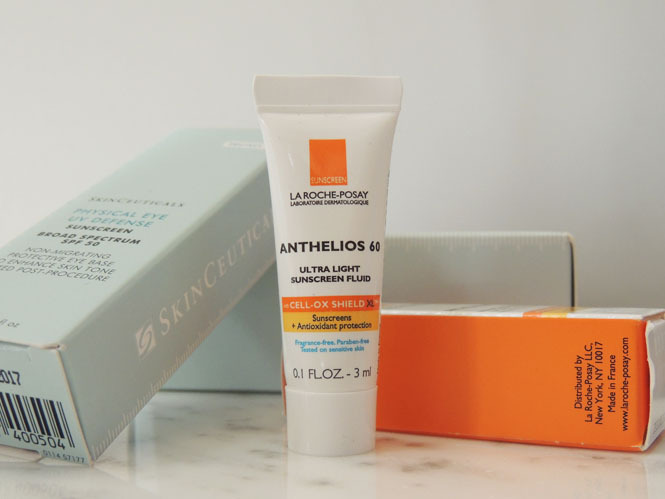 Laroche-Posay is one of my favorite brands. I have never used this line though. I will have to check it out. Winter is here. It is too hard to keep your skin glowing and beautiful in winters. I just loved the tips you have shared here. I'll try it. But in winters I am using lifecell skin cream. It is really effective. this site has a lot of information to share with. execellent post. Hormonal Balance The colon forms the largest part of the large intestine, ncluding stomach acid and bile, on its route through the digestive system. That is why we should care for it. Skin needs extra care in summers, because sun rays damage our skin. To prevent that damage use lifecell anti wrinkle cream. This cream will help you to protect your skin with sun damage. Taking care of skin is not that tough job. Great products like Skin Brightener Cream By Revitol helps a lot for glowing and natural looking skin. It is important to take care of your skin. Skin is very sensitive part of our body and it requires extra care for that. In summers, sun rays damage our skin and makes our skin dull and dark.